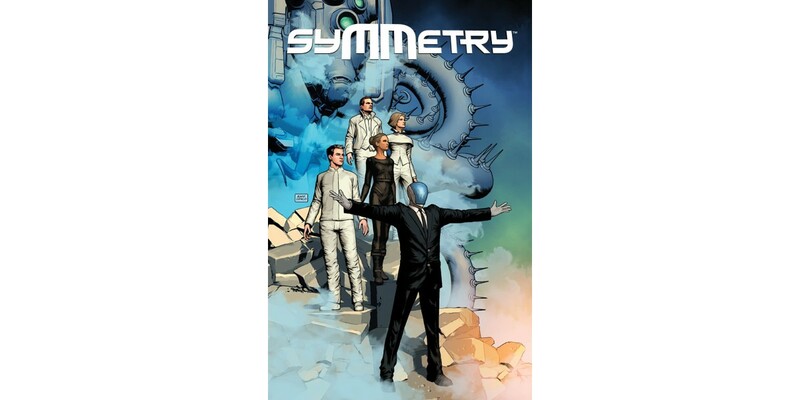 Fan-favorite Matt Hawkins (THINK TANK) and artist Raffaele Ienco team up for a sci-fi story aimed at disrupting the status quo in SYMMETRY, VOL.1, set to release from Top Cow/Image Comics this May. In SYMMETRY, VOL. 1, Utopia is here. Hunger, sickness, work... they’re all relics of a long forgotten past. All individuality, creativity, and negative emotions have been genetically bred out and medically suppressed. The population is limited to segregated areas. SYMMETRY, VOL. 1 (ISBN: 978-1-63215-699-0) collects the first story arc, issues 1-4, and will be available for $9.99. It hits comic book stores on Wednesday, May 25th and bookstores on Tuesday, May 31st. It can be ordered by retailers from Diamond Book Distributors with Diamond code FEB160640. It can be preordered now on Amazon, Barnes & Noble, and Indiebound.